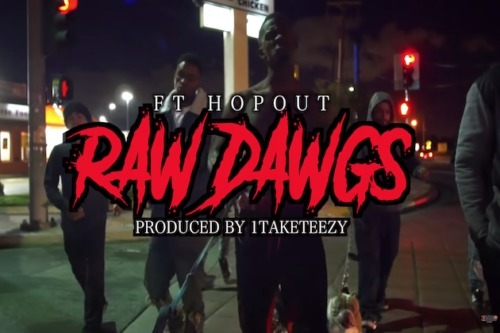 South LA’s, FT Copout, debuted his Go Getta Visions directed video for, “Raw Dawgs,” and you don’t want to miss this! Copout went viral in 2016 after releasing his single “I’m From Fruits,” produced by Kamaar G5. And has been riding the wave since then. Currently, this young upstart is cooking things up in the studio with the likes of BlueFace, 1.TakeJay, Almighty Suspect and more. For now, get familiar, and check out the video below.